Most college graduates are looking to take the professional world by storm after shedding blood, sweat, and tears for their degree. But there is one small dilemma that many graduates face: They have no experience within their fields, and potential employers are looking for people who have at least some experience along with a degree. There is a remedy that can get them closer to fulfilling that goal: obtaining an internship while still in college. Many degree programs require a semester-long internship. These are worth their weight in gold because they aid students in getting into their desired fields. Internships give students opportunities to explore specialty areas within their field, and to pursue them or eliminate them from long-term career consideration. Some techniques for securing the right internship opportunity include contacting governmental or nonprofit community development organizations or planning consulting firms. Students also may reach out to fellow students on campus or to colleagues with similar career objectives. Additionally, some college instructors likely have direct connections to local planning professionals or former students. Whether it is a paid or an unpaid internship, students and recent graduates should understand that this experience can be very beneficial to them in the long run. Initially, I did not plan to stay on as an intern. However, after obtaining my bachelor’s degree in urban design at Florida Atlantic University, I transitioned into the university's master’s degree program in urban and regional planning. My internship provided me with valuable experience — and a paycheck — while in graduate school. I am glad that I did it because it paid off in the long run, especially as my career — and salary — progressed. I was not the only person at my job who benefited from an internship. One coworker went from being an intern to a zoning technician to a planner to a senior planner, to a principal planner over the course of about seven years. Another benefit of an internship while still in college is being able to apply for certification by the American Institute of Certified Planners sooner. Those who have a master’s degree from an accredited planning program also must have two years of planning-related experience before taking the AICP exam. Because I was interning while in graduate school, which eventually turned into a part-time job, I was able to apply for the AICP exam just a year after I graduated. This catapulted me forward in my professional endeavors because it allowed me the opportunity to sit for the exam fairly “fresh out of college,” while my knowledge was intact. Thanks to the newly launched AICP Candidate Pilot Program, recent graduates of PAB-accredited programs may now take the AICP exam after graduation, even if they haven’t earned two years of experience. Current students and recent graduates are encouraged to enroll in the AICP Candidate Pilot Program to take advantage of this opportunity. According to the National Association of College and Employers, in 2016, 44 percent of graduating seniors reported that their internships were unpaid. Unless they are interning for class credit, many students and young graduates cannot afford to spend countless hours in an office working without pay. Paid internships also have a higher overall benefit for students versus unpaid internships. More than 50 percent of paid interns at for-profit organizations ultimately received a job offer, and their chances of getting a higher starting salary were greater compared with their classmates in unpaid internships. I believe that every student should have the opportunity to experience an internship in his or her desired field. Students should actively search for them. Even if an organization does not advertise internship opportunities, it may be worth contacting them to ask if they are open to the idea. Unless you inquire, you may never know. You could end up being the director at that organization within a few short years. Top image: Aspects of internships illustration from Getty Images. Gisla Bush earned her master’s degree in Urban and Regional Planning from Florida Atlantic University. 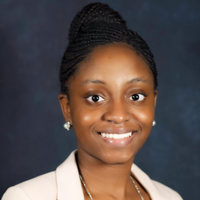 She is currently working as a planner for the City of Pompano Beach, Florida, and also serves on the Planning and the Black Community Division Executive Board. Bush may be reached at gislabush1016@gmail.com.